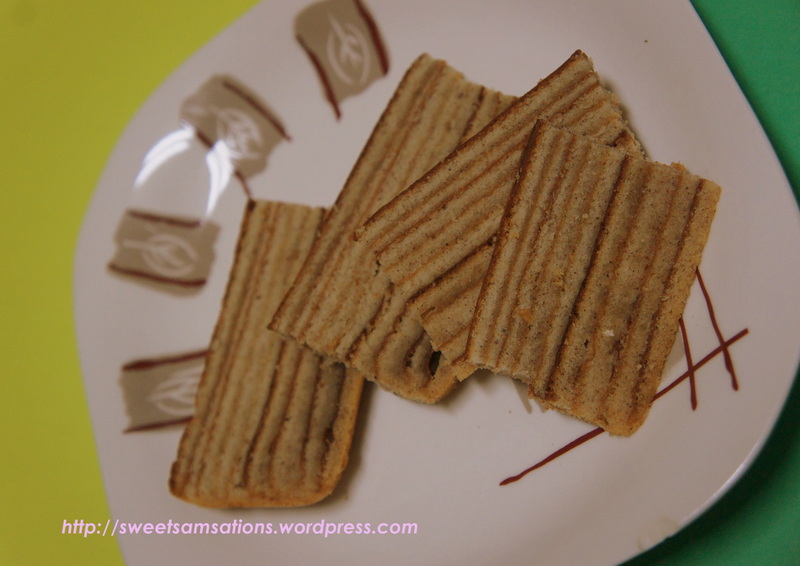 UPDATE: Please also see tips and a different recipe of Kue Lapis Legit in my later post. 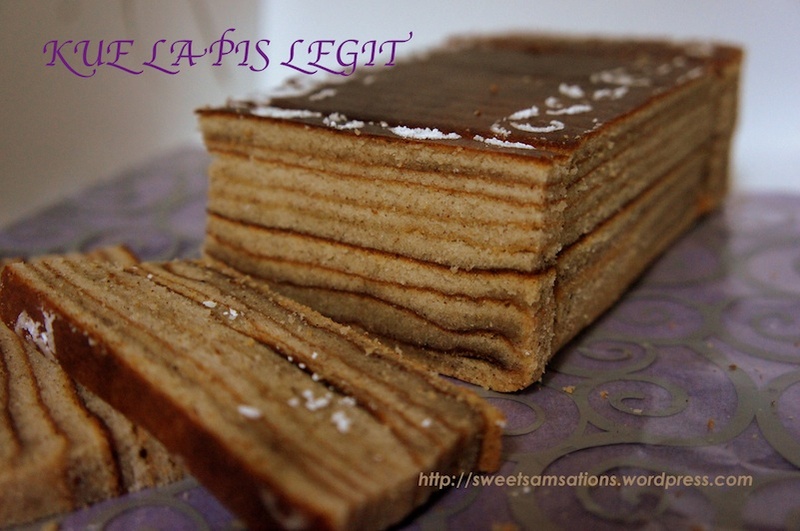 I actually made the legendary classic Kue Lapis Legit! I’ve always loved this cake ever since I was a little girl and admired its layers upon layers of beauty! Finding this cake in Vancouver is like a needle in a haystack! So this was a rare treat for myself! As soon as the last layer was completed, I impatiently turned the cake over and started shaving off its sides to marvel at the lovely layers created, at the same time gobbling up the shaved sides in orgasmic pleasure! I decided to try baking more traditional kues and introducing them to my friends and colleagues. Kue is the Malay / Indonesian word for cake. This topped my “To Bake” list as the ingredients were more readily available in Vancouver’s grocery stores. (Yes, that list is not getting any shorter) This is also my first time submitting a recipe to Aspiring Bakers #12: Traditional Kueh (October 2011) hosted by SSB of Small Small Baker! A little background history on Kue Lapis Legit. 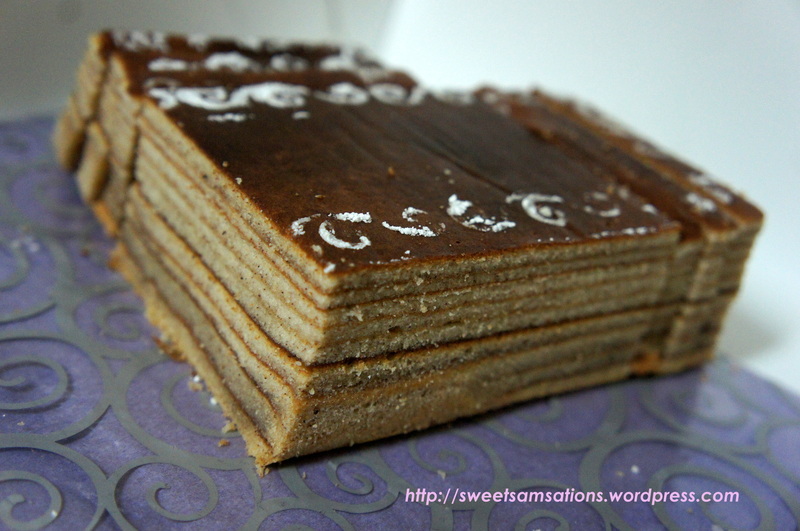 (Loosely translated to Sweet Layered Cake) Also known as Spekkoek, Kek Lapis in Malaysia and spelled Kueh Lapis in Singapore, this cake originated in Indonesia during the Dutch colonial era. It was a birth as a result of the magical fusion between sweet and spices! 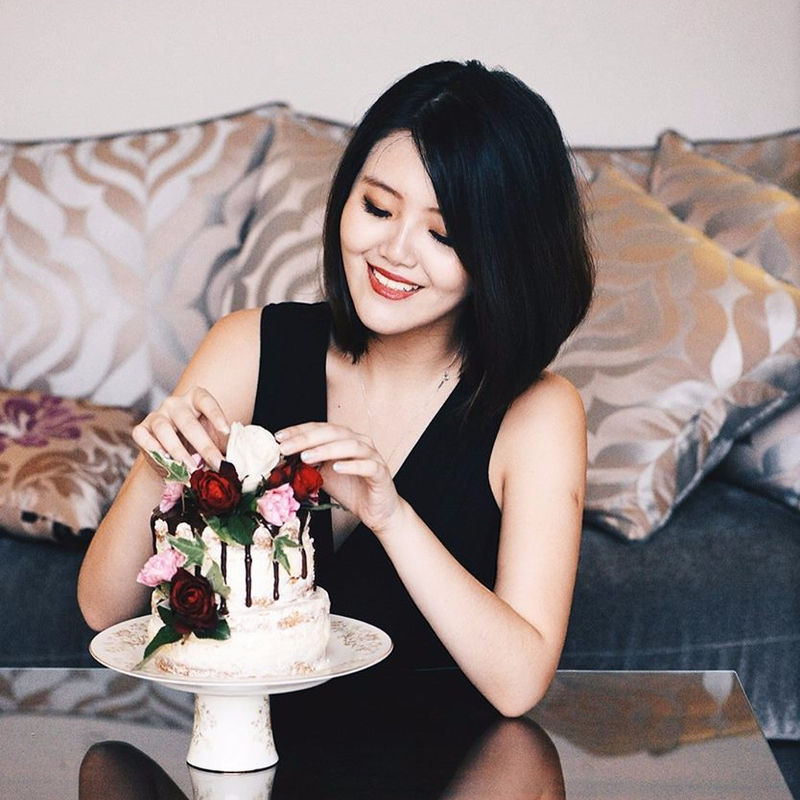 This cake is especially popular during Holiday Festivals such as Chinese New Year and Hari Raya as it can be quite labour-intensive and requires a lot of ingredients which can come up to a hefty price. The famous Bengawan Solo in Singapore prices a large Kue Lapis at $50!! Or $1.75 for a tiny slice! Without further ado, I present the recipe I employed, adapted from Poh’s Kitchen. I made some minor changes since I converted the the recipe to the metric measurement I was more comfortable with, and also due to ingredients that were lacking / unavailable. The following is prepared for a loaf pan of 4 and 1/2 x 9 inches. You could double the recipe for an 8 x8 inch square pan. 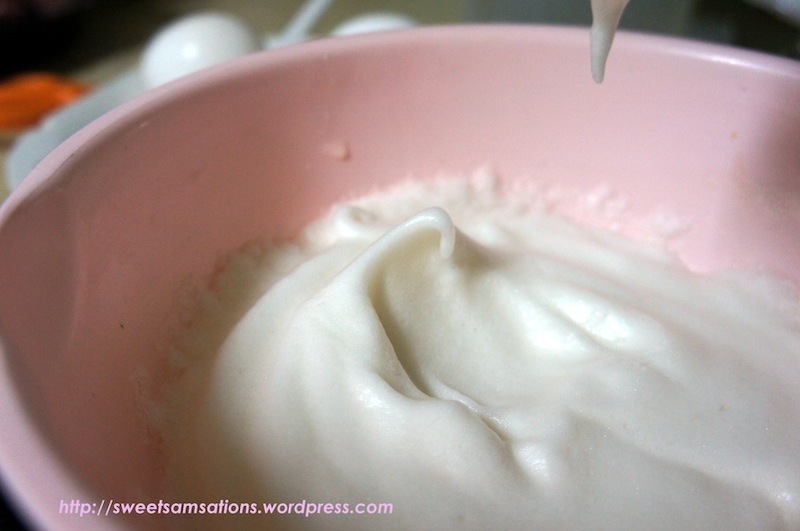 Use an electric mixer to bring egg whites and vanilla to soft peak. Gradually add icing sugar until stiff peaks form. Add egg yolks one at a time, beating well between each yolk. Set Aside. Preheat your oven to 400 degrees and make sure that you pre-heat your pan too!! Note: We are baking under “broil/grill mode”. That means only the top heat is used. I did not pre-heat my pan because the original instructions did not mention that. I realized that the purpose of pre-heating my pan is to allow the batter to “melt” on the hot pan so that its distribution may become more evenly layered. I only had this realization after baking the 3rd layer when the batter almost immediately melted on my previous layers! Cream softened butter and condense milk in a separate bowl, and then add into egg mixture in small batches. Slowly fold in until well incorporated. Careful not to overmix. Sift the flour, baking powder and spice powder together. Grease a 20-22 cm square cake tin with a lift-up base and line the outside of the tin with foil so batter does not leak through any gaps. 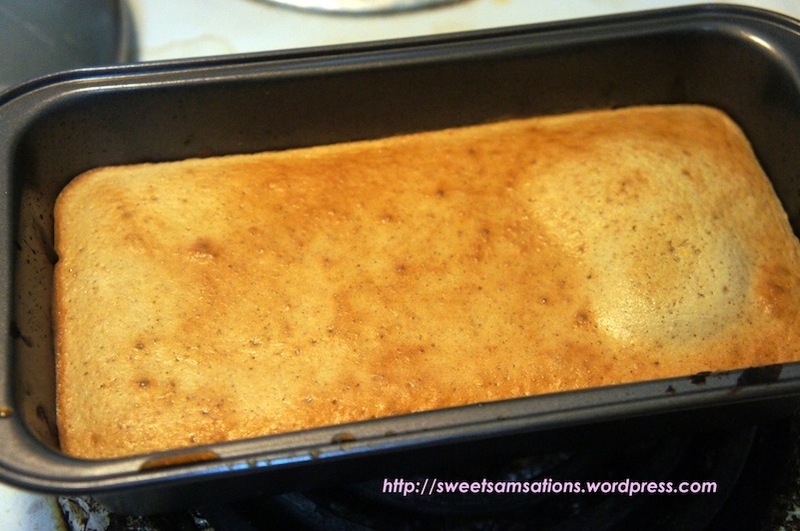 Put about 2-3 tablespoons of the cake mixture onto the base of the cake tin and spread it evenly over the base. If you are making this on an 8 or 9 inch square pan, use 4-5 tablespoons instead. Of course, consistency is the key to beautiful even layers! Put the tin under the grill for about 3-5 minutes or the top is a golden brown. If there are any air bubbles, poke them with a toothpick and flatten each layer with a fondant smoother or any similar equipment. Remove from oven and scoop the same amount of batter for the second layer. (There is no need to wait for the cake to cool between layers). Repeat the same process. Keep going until you have finished all the batter. 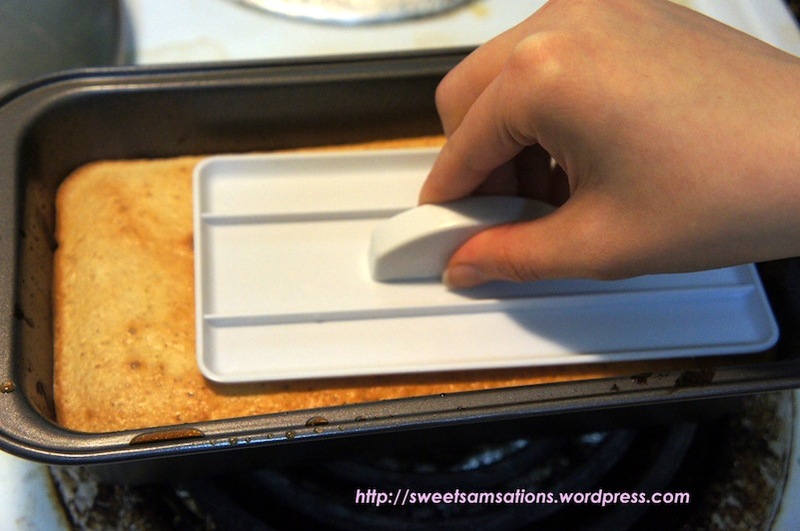 Flip the pan over and wait for the cake to cool for at least 45 minutes before cutting off the sides of the cake. Yes I know I should practice what I preach but the cake just smelled so damn good that I could no longer withhold my palates! 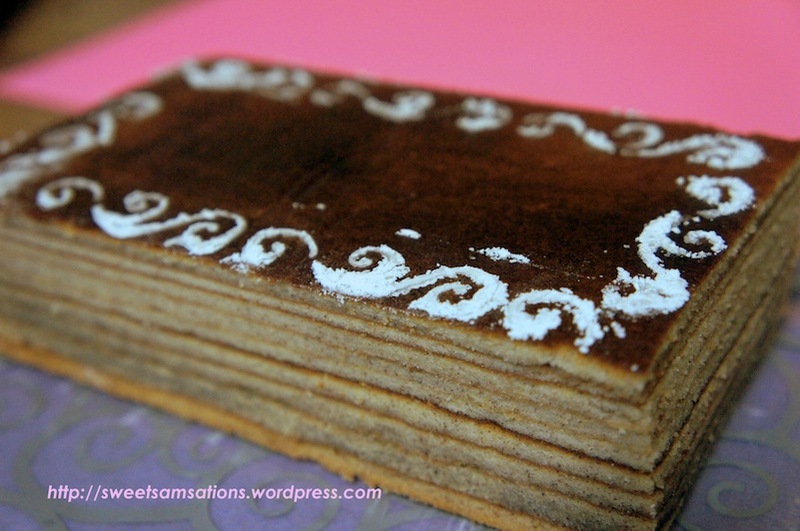 I decided to create a Batik-like pattern for the Kue Lapis Topping using icing sugar! I thought it looked quite pretty on the cake, though not perfect! I used a punch tool to punch the designs on a paper and placed the paper over the cake. Then sifted icing sugar over the Kue Lapis. As you can see the bottom layers were not as even as the top layers because I did not preheat my pan! The cake is traditionally served in tiny petite slices. Think French portions. oooh ooh!! I guess you were really EGGxited about it! Thanks Sam! Yeah it’s one of my favourites! I really missed having it in Singapore! Yum!! Bika Ambon is close to the top of my “to bake” list as well. Hehe. hehe! I know! I’m craving it right now too! Will definitely attempt this high cholesterol cake again! My 1st few layers seemed to be oily like & like uncooked. The layers werenot pronouned. 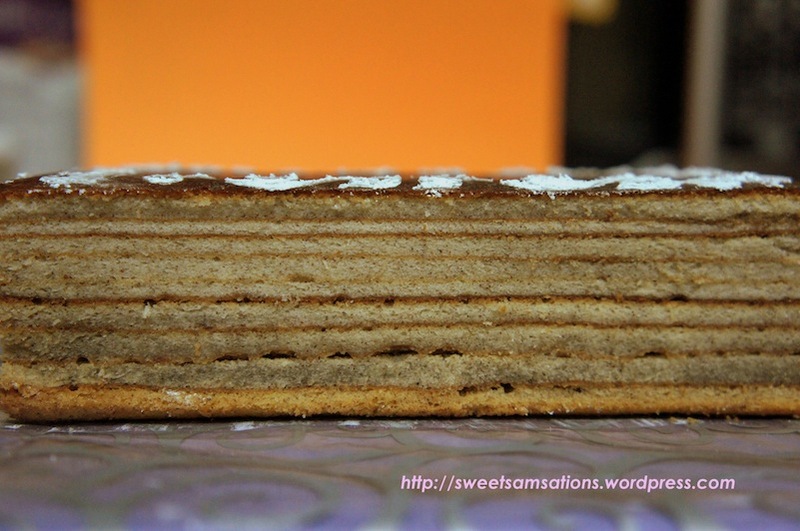 Then thee subsequent layers were very nice. I used the oven for the 1st layer & switched to grill for the other layers. otherwise the bottom of the 1st layer is uncooked. lol. I’ll definitely make you fresh ones in the future Natzie!! I love this cake too! Super yummy! Going to attempt different flavours soon!! This looks amazing! I want to try this sometime, does it take a long time? It seems the first layers would be burnt by the time you finished. haha. Yeah! I love Poh! Definitely going to try her other recipes 🙂 Are you actually from Singapore then? Me too! no, just visited a couple of yrs ago! I’m in Australia so 6 hrs away!!! ohh! Yes! Aussie land is definitely closely located to Singapore! I wanna visit Aussie again!! Haven’t been there in 13 years now! haha..
Lol, I really loved Singapore! I’d only visited as a kid and then of course with my guy the next time round. One of my good mates lives there and he took us on a foodie tour ending up at Newtons Circut at 2am for chilli crab and stingray. Just wanted to thank you for the recipe, tried it yesterday and it turned out really well! Hi Sam! the cake looks fabulous and delicious! Hi Tania, I baked mine using the Grill / Broil function on my oven and it had a temperature of its own! I wasn’t able to set any temperature. Most lapis are baked using this function. If you are however able to only turn on your top grill AND set a temperature, you could set it to about 350 degrees. Try to bake for 3-5 minutes and see how the first couple layers turn out to gauge the rest. 🙂 Good luck!! I hope you enjoy this recipe!! My dad is from Jakarta! But I am located in Vancouver, BC in Canda! 🙂 I will check out your blog for sure! In the ingredients, is it a 1/4 cup butter OR a 1/2 cup margarine? Hi Jeff. It’s 1/4 cup butter AND 1/2 cup margarine that I used. However I would recommend you just use 3/4 cup butter if you want better tasting lapis. I finally made it! Thank you for the inspiration, Sam. I used Emeril Lagasse’s recipe from Food Network because it was very easy to half. 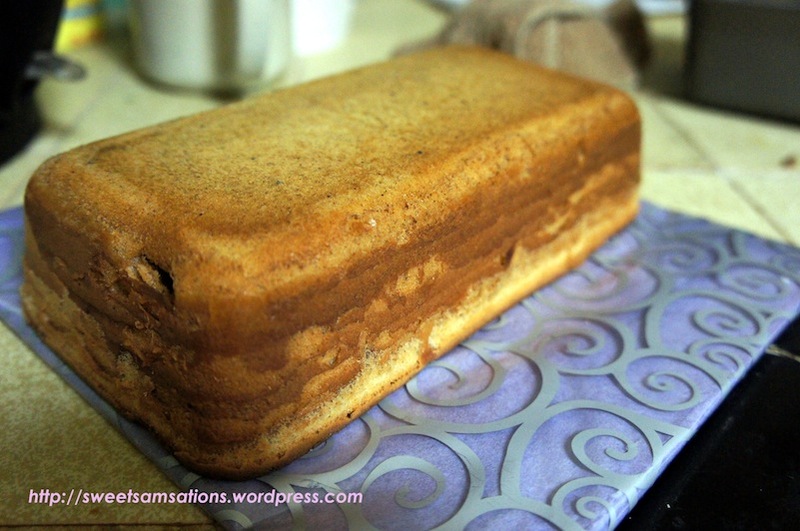 It made a very nice small cake in a loaf pan. I didn’t make my layers thin enough but they still look lovely. I made candied orange peel and and orange syrup as garnish! Thanks again. Hi, u mentioned 1/4 cup butter & 1/2 cup margarine. If I want to use butter instead of margarine, how much should I use? Is it 3/4 cup butter? May I know if 1 cup equal to how many grams? Can I omit rum? Thank you. 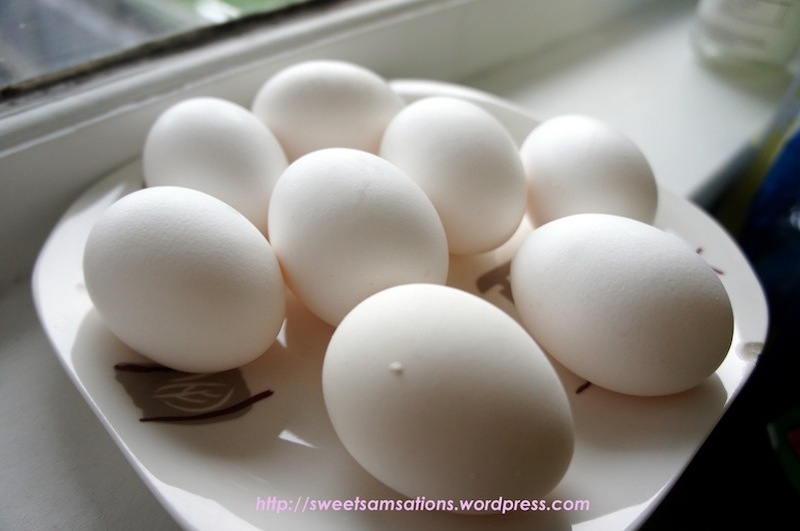 Hi Sam, thank u for the very good detailed tutorial & spekkeok powder substitute recipe. They smell so so good. Better than those store bought ones. 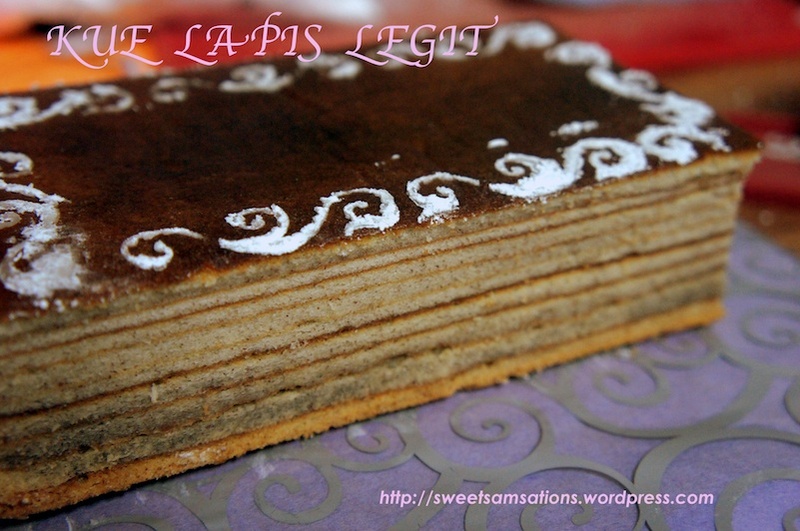 I cant wait to bake the lapis legit next week (for hari raya). I am very sure it’s very very yummy! Love your blog! Thanks again. Cheers! Hi Sam, thank u for the very good detailed tutorial & spekkeok powder substitute recipe. They smell so so good. Better than those store bought ones. 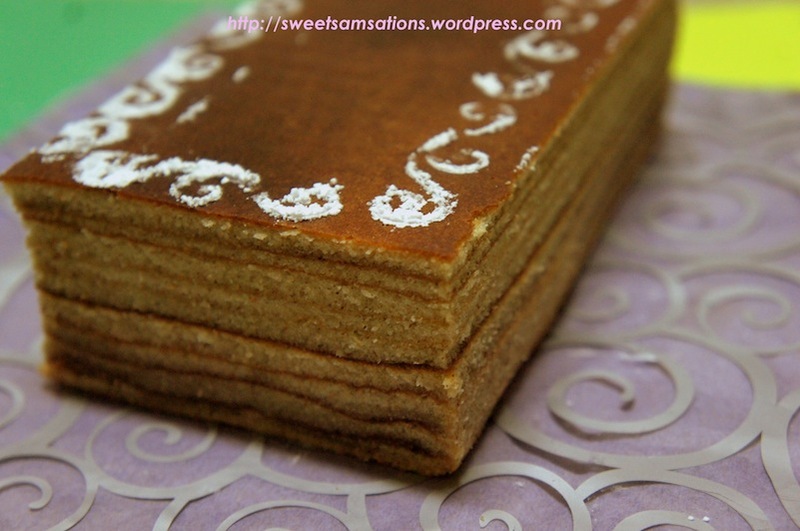 I cant wait to bake the lapis legit next week (for hari raya). I am very sure it’s very very yummy! Love your blog! I will be baking more cakes with your very good recipes.Thanks again. Cheers!